Acrylic Pen Stand. Can Make Any Acrylic Products, In Any Shape. 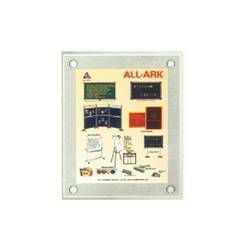 Being best name in this niche, we bring forth for our clients finest quality array of Wall Literature Holder. Customised treble Cleff Key holder for office and Home purpose. 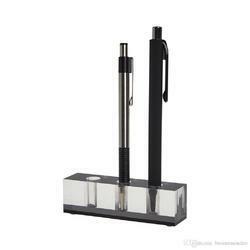 Backed by huge industry experience and market understanding, we are involved in providing a wide variety of Acrylic Pen Holder for our valued patrons. It can fix easily on wall, door etc. With the help of two predrilled holes. Made from clear acrylic sheet. Information can be easily insert from top or the holder. Size: A4, A5, A6, sizes in landscape & Portrait. - Roland Multipurpose organizer from Bluewud is an ideal organizer for your Mobiles, Remotes, Makeup Cosmetics and Desk Accessories. - It has a Sleek design which takes up little space. This heavy-duty acrylic menu holder displays menus, keeps them clean and boosts your sales. This heavy-duty acrylic menu holder displays menus of all kinds, keeps them clean and boosts your sales. Simply slip in your menu or promotion. We are engaged in the field of manufacturer of several kinds of Square Pot.